It takes 10 years for a tree to become mature enough to absorb pollutants in the air. 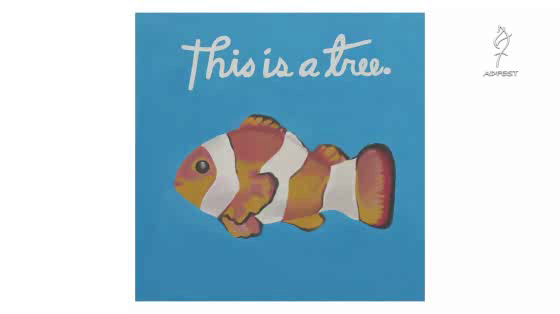 However, it only takes one day to paint a tree using Boysen KNOxOUT, a smog-eating paint that absorbs as much nitrogen oxide as one mature tree. These one-square-meter artworks were painted along one of Manila’s busiest and treeless highways. 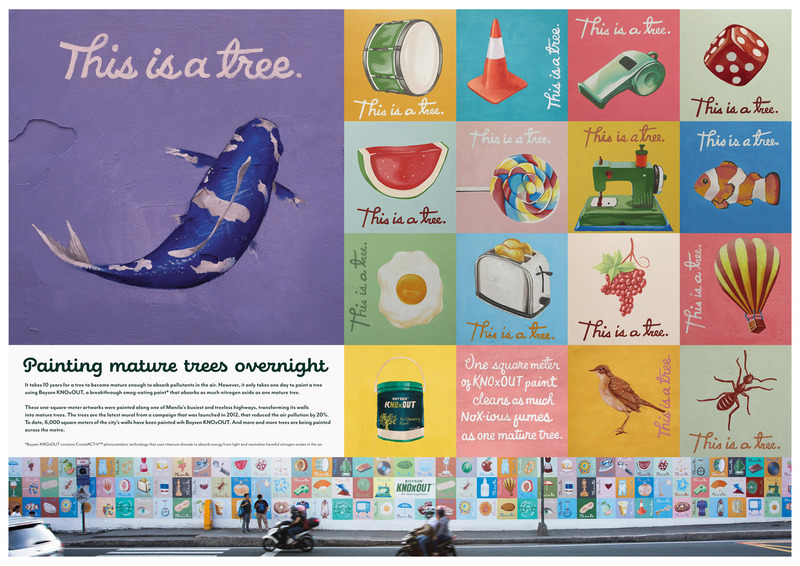 “This is a Tree” is the latest mural from a campaign that was launched in 2012 by agency TBWA\Santiago Mangada Puno Manila. To date, 6000 square meters of the city’s walls have been painted with Boysen KNOxOUT. The campaign won Gold and several Silver Lotus Awards at the recent AdFest 2019 in Thailand. Nice extension of this campaign. Good to see TBWA is leading the way in Philippines. yes tbwa smp is a very strong agency here. very highly respected and always at the top creatively.